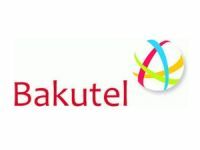 The 1st scientific-practical conference will be held in Baku within “Bakutel 2015”, the 21st Azerbaijan International Exhibition and Conference on Telecommunications and Information Technologies. The conference will be organized by Azerbaijan`s Ministry of Communications and High Technologies, Presidium of the National Academy of Sciences and Institute of Information Technology of Azerbaijan National Academy of Sciences. According to the Ministry of Communications and High Technologies, the topics of the conference will be “Big Data Mining and Big Data Analytics”, “Big Data Architectures”, “Big Data Security” and “Big Data Applications”.